Artivive. Well, what’s going on here? 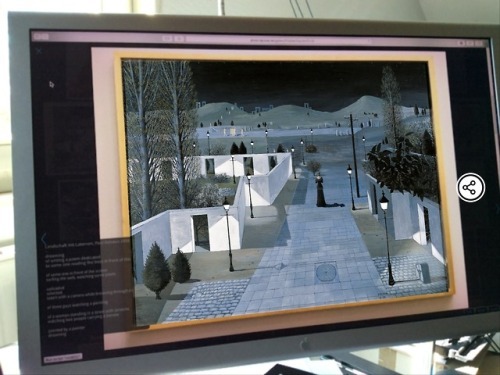 This is a screenshot of Artivive, while augmenting the reality as displayed on my computer screen – showing a photo of a painting by Paul Delvaux at Albertina in Vienna. Of course, the original intent is to use your mobile phone or tablet while exploring the museum. Surprising - fun - interactive – if the piece of art has been prepared to be animated with Artivive. 1) Launch a space station /phew, this is done. 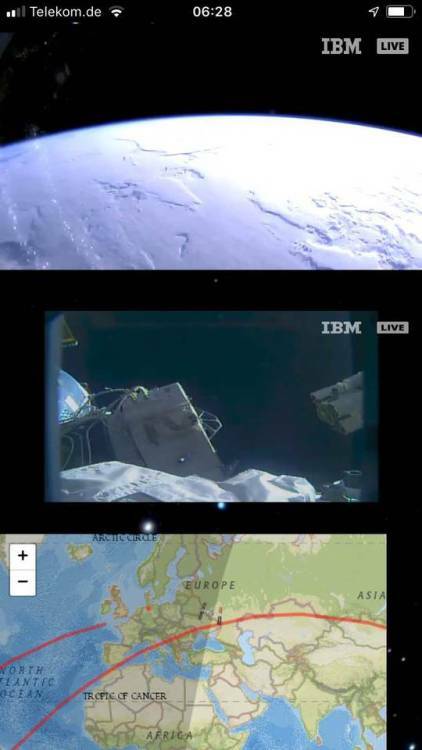 3) Get the upper video into full screen and landscape mode. 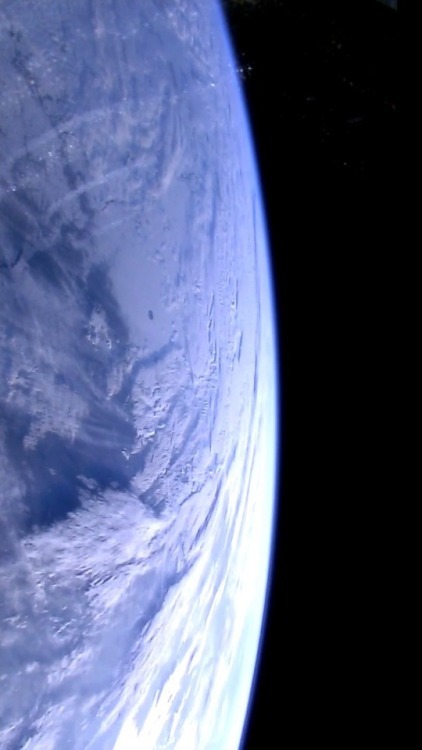 4) Gaze in awe until you fall in love with the current view. 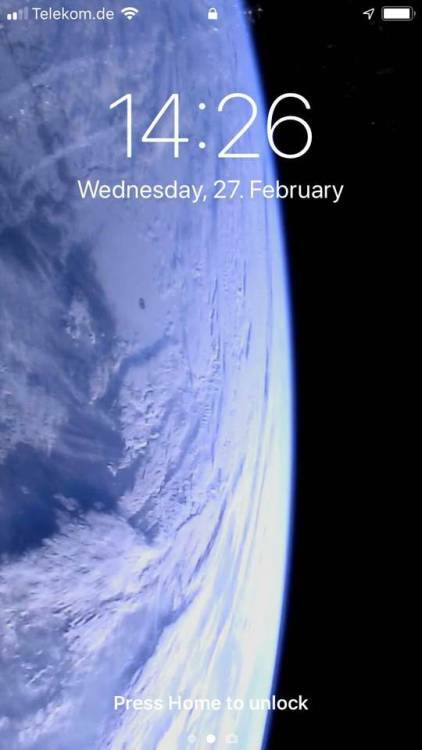 5) Take a screenshot and use it as your lock screen wallpaper. 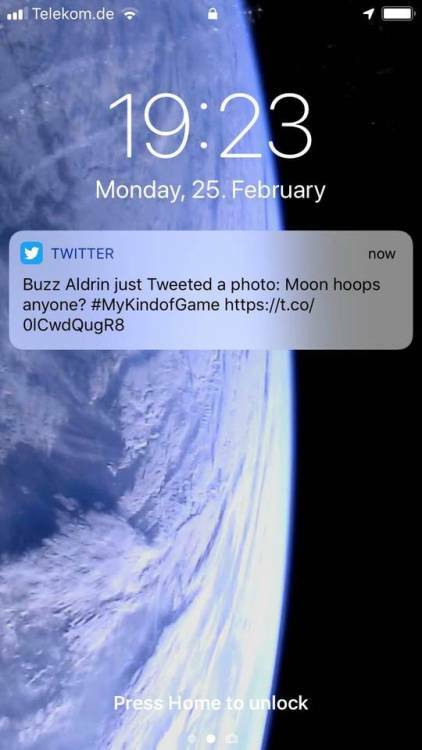 6) As a kicker, you can follow TheRealBuzz and wait until he shows up on your screen in space. Epic! Sometimes something is too fast to watch in detail on youtube…. Sometimes something is too fast to watch in detail on youtube. And youtube’s user interface is not suited to properly replay certain sections of a video; in this case: Don’t be so hot by Me and My Drummer. Snipps offers exactly that. Slow motion and jump marks for precise navigation. 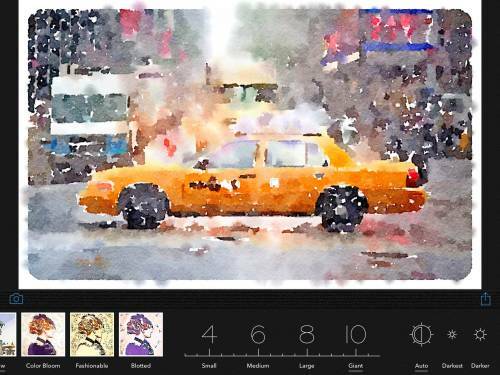 Waterlogue offers water color filters for photos. The results are impressive. However, for my taste, the app is a bit slow and the interaction is limited. I would prefer more influence on the pictures while they are painted by the algorithm. Get it while it is on sale for 99c. 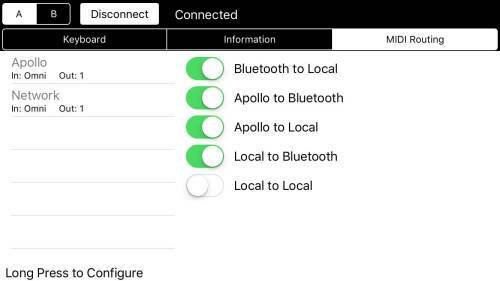 Apollo MIDI over Bluetooth connects 2 devices with each other, either iOS or macOS. Hence my MIDI USB keyboard can now be connected with out any wires between Mac and iPad. The USB is plugged into the Mac, and Apollo transmits the MIDI over Bluetooth. Nice. Yet another successful link was just between AC Sabre on iPhone to ThumbJam on an iPad. As Noted. The simple and powerful personal note taking environment for iPhone, iPad, Android and Chrome on the desktop. 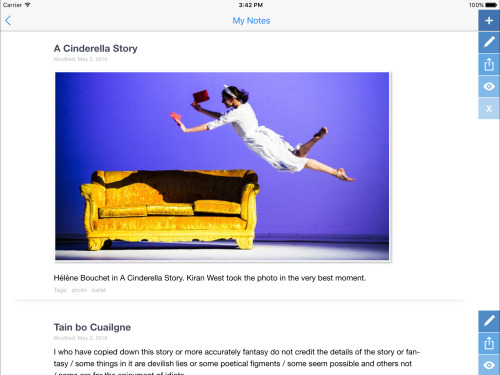 Notes are synched via dropbox among all your devices. Tags, notebooks, search, im& export w/ Evernote. Simple and robust. – Disclaimer: I am the designer and co-developer of As Noted. 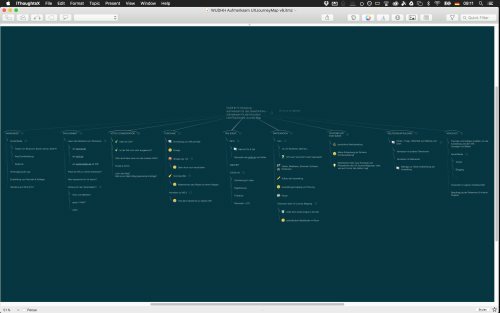 iThoughts and iThoughtsX by toketaWare are two mind-mapping apps that synch between Mac and iPad/iPhone. In addition to sharing maps, customized styles can also be shared among devices. Tip-over diagrams – the example above is a UX Journey Map – have different layout rules depending on the node level. Typically they make good use of the real screen estate. Last not least, as in Mindcad Incubator, sheets can contain more than just one graph. The best to say about ThumbJam is that it made me curious to explore the world of music on the iPad – and that it stayed among my top apps ever since. The number and quality of sampled instruments included is impressive. The number of scales is a cultural journey around the globe. It should to be mentioned that ThumbJam does a superbe job to take the gyroscope and accelerometer as input to twist and bend the sounds, e.g. 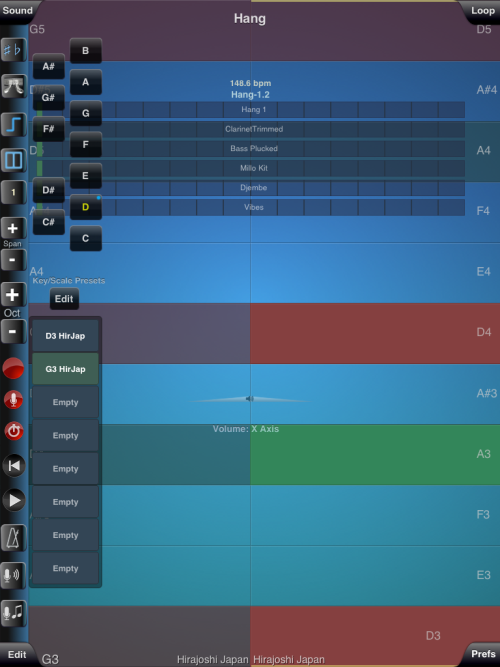 shake the iPhone to play a wild e-guitar vibrato. I’ve configured the screen above to play Hang 1. More layers are added for Hang 1.1 and Hang 1.2. 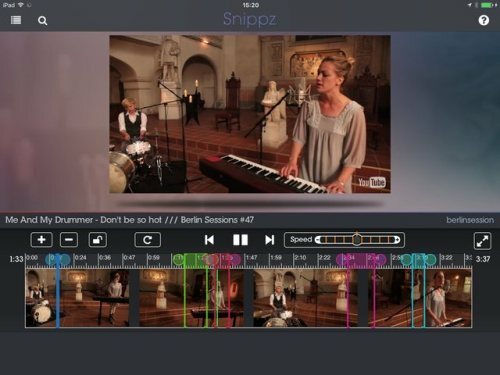 MIDI support allows other apps to interact with ThumbJam. 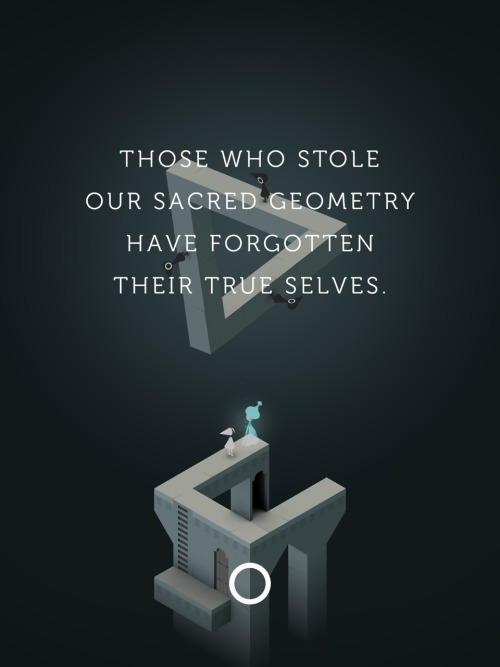 Monument Valley is a calm puzzle. You have to guide the way for a little princess through geometric mazes that will challenge your perception. 10 levels can be explored within an evening. 8 additional level are offered as in-app purchase. For that reason the app seems a bit expensive. Nonetheless, it is a beautiful game with surprising perspectives and optical illusions. 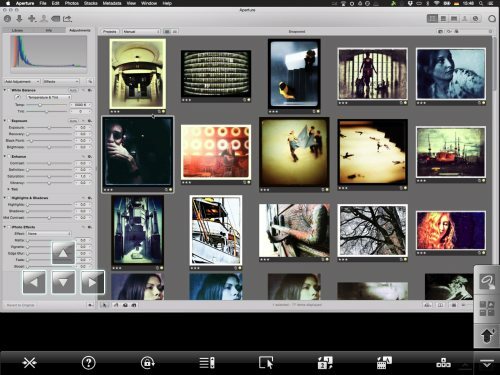 Splashtop is an app to connect from an iPad (or iPhone) to a Mac/PC that are in the same WLAN; real internet access is available for a monthly or annual fee. Splashtop is robust and fast. Of course it does not replace a full fledged desktop environment, but it gets the job done if you don’t have physical access to your computer. 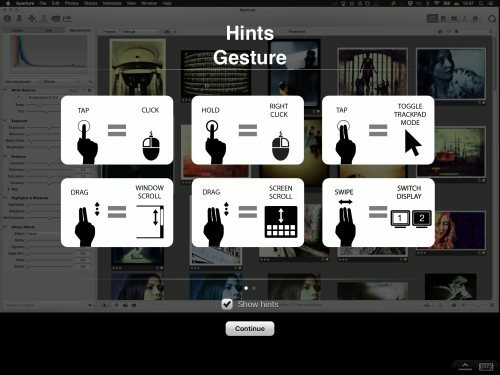 Small control elements, like in Aperture above, can be zoomed with spread and pinch gestures.